On Thursday Beijing issued the first air pollution “red alert” of the year, as forecasts anticipate several days of heavy pollution in the capital. 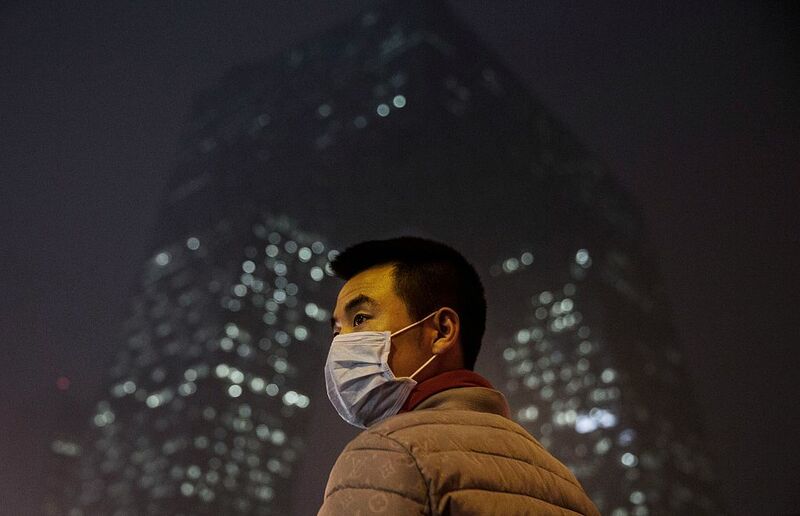 As residents brace themselves for an approaching wall of smog, it is becoming apparent that China’s significant progress on air quality has stalled. It follows the government’s decision to unleash a massive credit stimulus earlier in the year, resulting in a production push in the steel and cement industries. Air quality in eastern China improved dramatically in 2014 and 2015, with the national air pollution action plan coming into force, cuts in coal use and enforcement of new emission standards for power plants and industry. The change was fast and visible – a 20% fall in PM2.5 levels in just two years. But the air in November was worse than a year ago – the second month in a row after a long streak of improvements. Although last December was the worst on record due to very unfavorable weather, it didn’t cause an outrage because the perception was that the government was effectively tackling the problem. But in reality, the trend turned in the second quarter of the year, but was masked because air quality tends to be better in the spring, summer and early autumn and year-on-year comparisons were still showing a fall in pollution levels due to earlier improvements. Where did the smog come from? This weekend’s episode will be typical for Beijing: the smog started building up in the steel industry strongholds 300km to the south of the city on Thursday, although Beijing itself was still receiving clean and crisp Siberian air from the north. As the weather front shifts, the worst smog takes a couple of days to reach Beijing, accumulating pollution from factories, households, cars and heavy vehicles along the way. Air pollution emissions in the Beijing region are dominated by a few heavy industry sectors, especially steel. Although emissions from coal-fired power plants have been addressed quite aggressively in recent years through new emission standards, industry has only grown more important. Why is the pollution getting worse again? Restructuring the distressed heavy industry sectors has proved more painful and politically costly than anticipated. China’s government has embraced a shift from bulk industries and construction in recent years towards services and high-end manufacturing, but they decided to slow down or reverse the pace of change, unleashing an unprecedented economic stimulus. As a result, steel and cement output have increased this year, driven by real estate construction and government infrastructure projects. High steel prices have seen older and less efficient capacity restarted, further increasing emissions. The correlation is clear from plotting iron and steel output against air pollution levels in the Beijing-Tianjin-Hebei region where China’s steel industry is concentrated. On the environmental front, change in policy priorities has been apparent. Beijing’s 2017 air quality targets were postponed as progress stalled, instead of dialing up efforts. New targets for 2020, from renewable energy capacity to coal consumption cuts and air quality improvements, have been underwhelming when compared with the pace of progress in the past couple of years. The imperative of rebalancing the economy only grows stronger with every month (or year) of stimulus. While the government’s official economic workplan for 2017 included “expanding aggregate demand”, or credit stimulus, as a part of economic policy, the government has recently taken steps to deflate the real estate bubble and raise interest rates. Furthermore, the workplan vowed to “improve the quality of demand”, which should imply a shift from the dirtiest and least efficient sectors towards services and high-end manufacturing – a win-win for Chinese consumers and for the environment. Economic reforms are generally expected to accelerate after the all-important party congress and leadership reshuffle next Autumn. As the reversal of progress on air quality becomes more visible, the public demand for clean air will add to the impetus for stronger policies.